Elkins Bake Sale – Today! 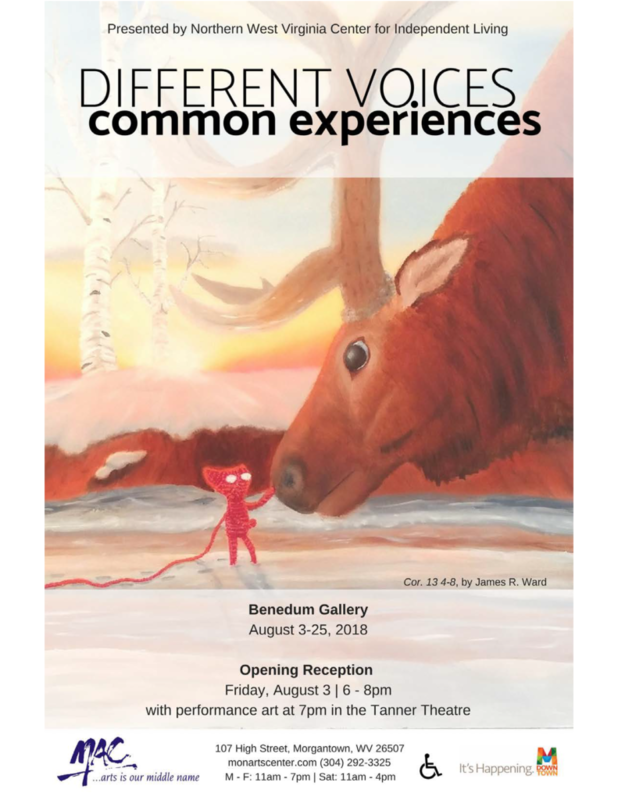 You’ll definitely want to mark this on your calendar! 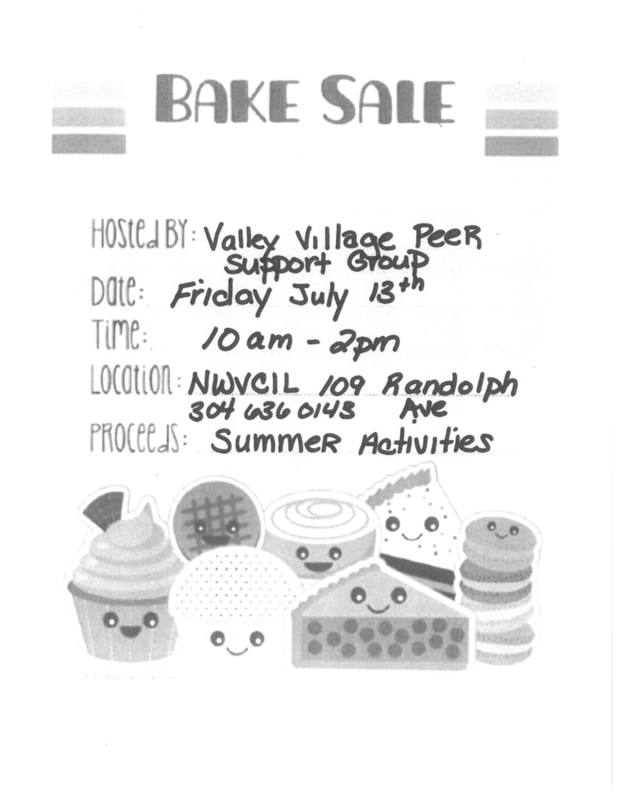 The Valley Village Peer Support group is holding a bake sale on Friday the 13th! Nothing unlucky about this sweet sale! The bake sale will be held from 10 AM – 2 PM at NWVCIL in Elkins, WV. You can call 304-636-0143 for more information. 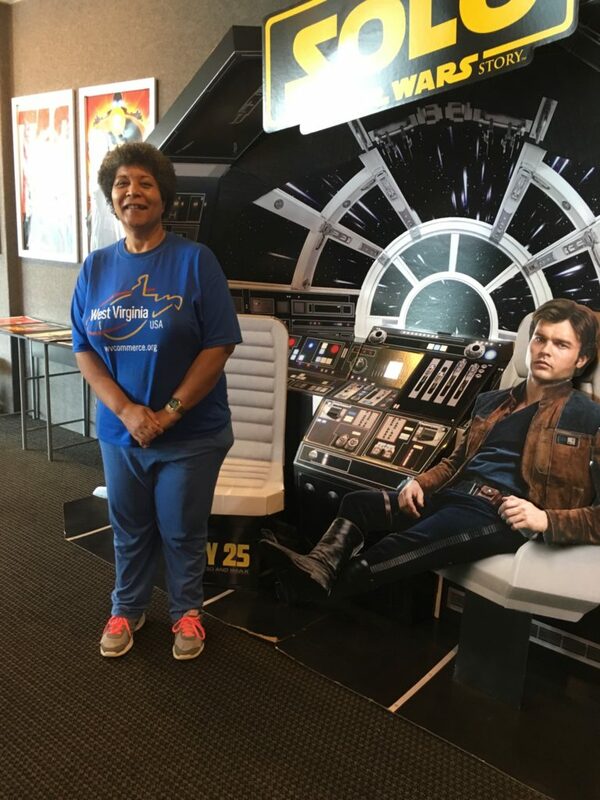 The Elkins group beat the heat in June at Elkins Cinema. 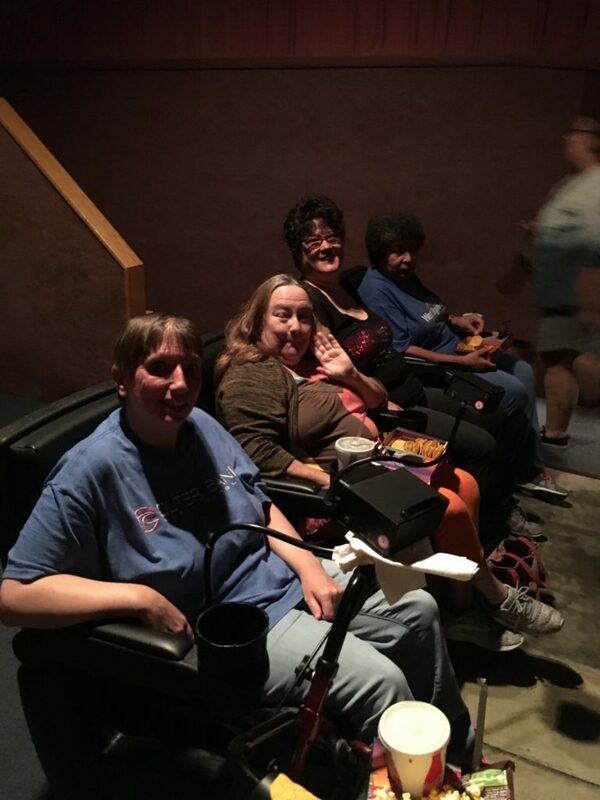 Thank you, Elkins Cinema 8, for providing closed caption assistive devices! 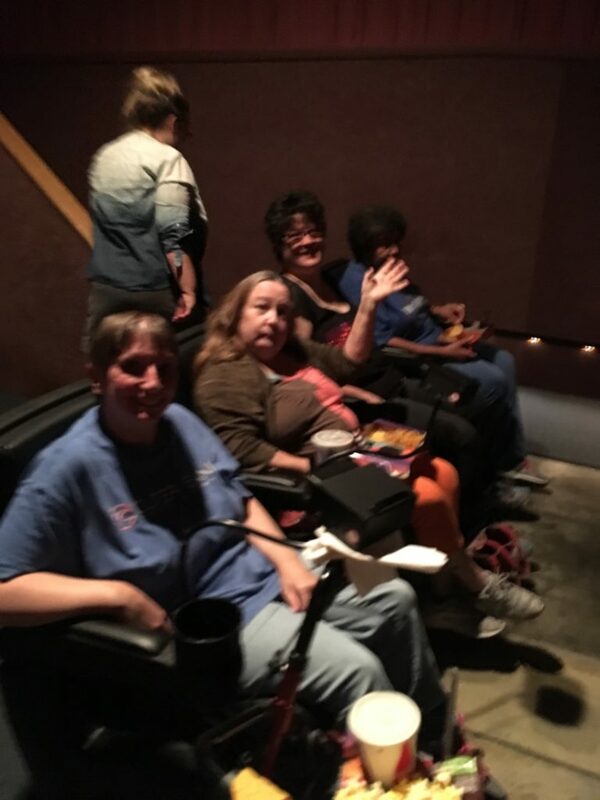 Elkins Peer Support group had a great time at the movies! 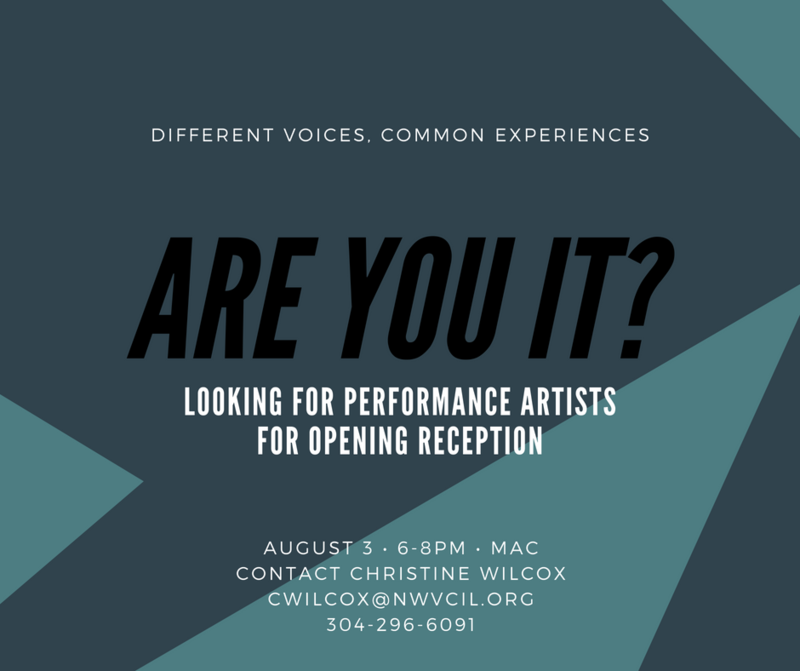 NWVCIL is looking for performance artists for our Different Voices, Common Experiences opening reception! Do you sing, dance, or write poetry? Do you possess a talent you’d like to share with the world? If so, contact Christine Wilcox at cwilcox@nwvcil.org or 304-296-6091. Take Action for MFP on the Olmstead Anniversary! 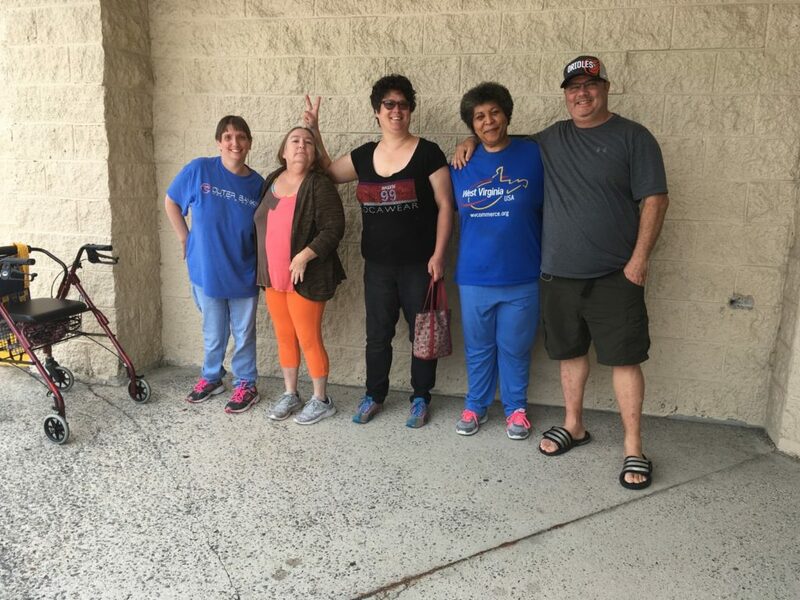 Since Money Follows the Person (MFP) began in 2005, over 75,000 disabled people have been liberated from institutions, and CILs have played a critical role in that. But MFP expired on September 30, 2016, and states are starting to scale back and end their programs. In fact, last year was the first time the number of people transitioned into the community declined. We need your advocacy to get the House and Senate to pass the EMPOWER Care Act to reauthorize and fund MFP! Use Social Media! Post on Facebook and Tweet at your members of Congress. Find your Members’ Twitter handles and other contact information on Contacting Congress. Make sure to use the hashtag #FundMFP in your posts. You can find more information, including sample Tweets, at the Facebook event.